Enphase Solar Systems Direct, SAVE MORE (installed prices) - Perth WA. Advanced Technology. 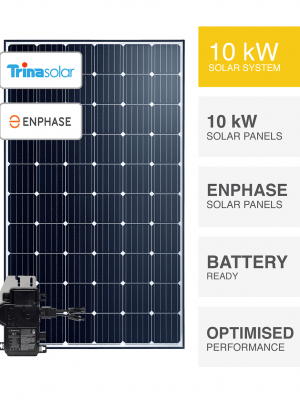 PSW Energy Enphase solar systems are built with the latest Enphase IQ7 or IQ7+ technology inside and are better equipped to endure shade restricting performance losses. Combine the most advanced microinverter technology with a world-class solar panel option and enjoy unrivalled satisfaction. Battery Ready? Simply connect the wonderfully modular range of Enphase batteries for a one make solution. Enphase solar and Enphase battery ensures seamless functionality with no restrictions. Expand as you need, when you need to. Enphase solar systems by PSW Energy are constructed to be the safest solar technology without question. The elimination of DC strings ensures zero chance of potentially hazardous DC arc fault, plus the high yielding advantages module-level optimisation. Your ultimate peace-of-mind starts here.